There are nearly 4.5 million posts tagged #latteart.There are nearly 15 million posts tagged #coffeeshop. And there are over 31 million tagged #cafe. It’s fair to say that coffee is a pretty big hit on Instagram. Instagram resonates with young people: 90% of its user-base is under 35. Instagram’s audience is one of digital natives who use the highly visual platform not just to share snaps but to build and curate a perfectly-manicured lifestyle. Perhaps some of your coffee is being shown off on the social network. If your customers love your drinks and being in your shop, it’s possible that some pics of your cafe are already floating about the web. Wouldn’t it be better, though, if you could take control of it? You’d be tapping into a network that 500 million people use each and every day. And that figure is growing month-on-month. Instagram’s audience is super-engaged, with users spending more time on the network than any other form of social media. 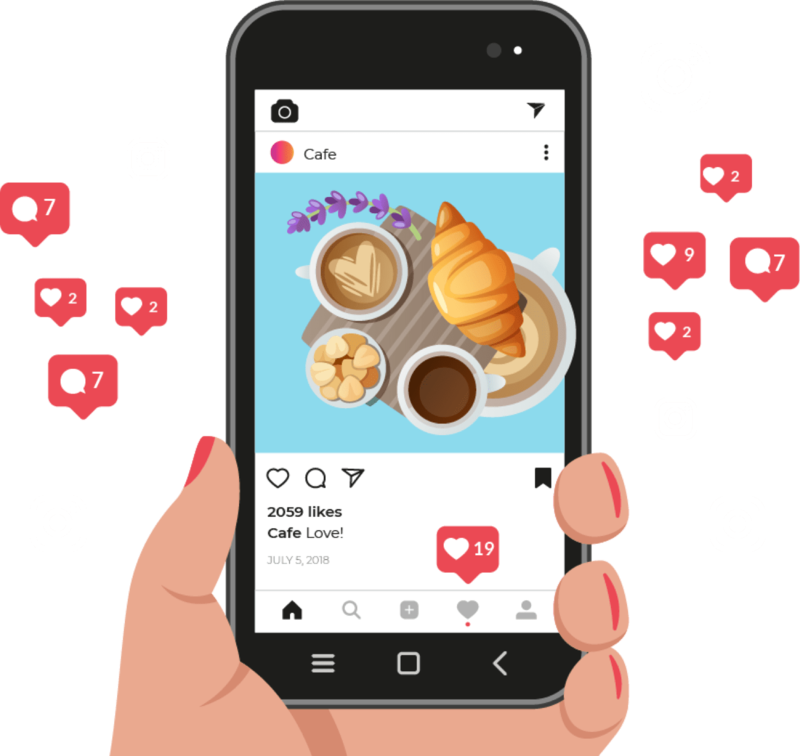 It’s pretty clear: you can’t afford to miss out on the opportunities Instagram offers to promote your cafe. And this guide will show you how to make the most of the platform. It’s not going to tell you how to snap the perfect cafe gram. There are plenty of articles on that already. But it will help you use the platform’s unique features to your advantage. Every social media platform works for different things. Facebook is great for giving important information about your establishment, like its location and opening times. Twitter is great for connecting to your customers and showcasing your witty banter. One of the reasons Instagram is a great platform for marketing your cafe is because images on the platform travel far and travel fast. 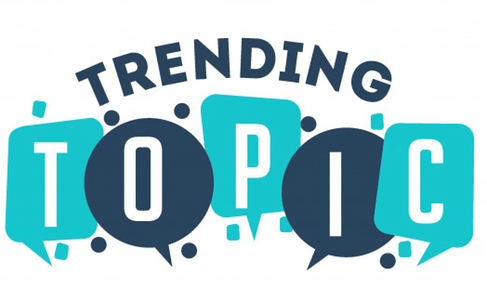 Ever since they were first used on Twitter in 2007, hashtags have been an integral part of social media. They make it easy for users of social media to communicate and search content easily and to keep their fingers on the pulse. Whenever someone clicks on a hashtag, they get taken to a feed with every image with that hashtag. Anyone can create a hashtag simply by typing the ‘#’ key, and then the words they want to tag without spaces. So “my coffee shop is the best” would read #mycoffeeshopisthebest. But just because you can use anything as a hashtag, that doesn’t mean you should use just anything. Images with popular hashtags get seen the world over. There are currently 1.2 billion images tagged ‘#love’ on Instagram. So, if you had an image with that tag, and a customer were to search that hashtag, your image would appear in their results. Bigger hashtag = bigger potential to be seen. It’s that simple. Images with even a single hashtag get on average, 12.6% more engagements than those without. Don’t go overboard, though. 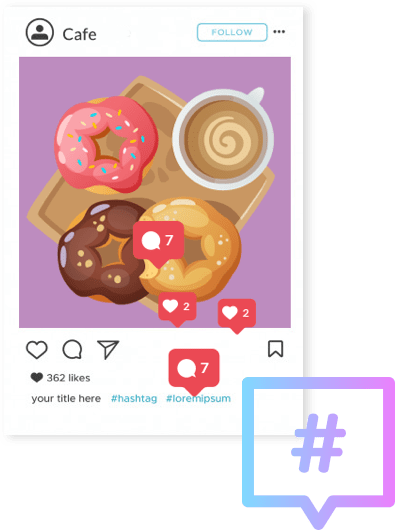 Although the service allows you to tag your image with up to 30 hashtags, research indicates that the optimum number of hashtags for a single post is 11. So, you need to think carefully not just about your image, but how you tag it. 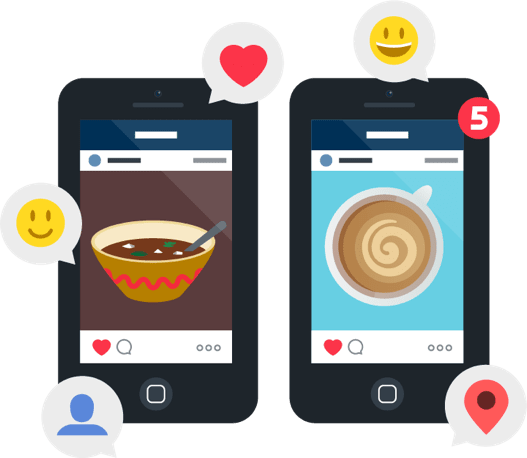 If you’re ‘gramming a photo of a sandwich, you might want to think about using tags like #food (250 million images) or #yum (100 million images) or #lunch (50 million images). But as well as thinking about hashtags that appear on tens if not hundreds of millions of images, it’s also important to think smaller. People tend to think local. So, while there may only be 61,000 images with the #kettering hashtag, you can bet your bottom dollar everyone searching for it is going to be from Kettering -- unlike #food, which is eaten by people across the world. There’s another way to tag posts on Instagram — geotagging. Unlike hashtags which live in the text box below your image, you can find geotags up above your image. Click through on a geotag, and you’ll find a list of every image with a similar one, as well as a map of the area and any Stories that have been broadcast with that tag. These tags are pretty useful, as they let you and your customers link images and locations. Posts with a geotag get, on average, 79% more engagement than those without. But you don’t just want to use any old geotag. You want your own, right? That way, everyone who snaps pictures of your perfect #sandwich can let the world know precisely where they’ve seen it. Instagram uses Facebook’s bank of locations to generate geotags, so to get your own geotag going all you need to do is create a location on Facebook’s mobile app. To do this, first make sure that your phone has location services turned on. Then go to Facebook and create a check-in status, giving it a location tag — either choosing it from the list that pops up, or if it’s not there creating your own. If you type in your location and can’t find yours on the list then you’ll need to create a custom location. After pressing on this, you’ll first need to choose a category for your new location. You’ll find Cafe and Coffee Shop under “Food and Drink”. Then enter your rough location (your city or your county) before either inputting your address manually or, if you’re at the address, letting Facebook find it for you by toggling the “I’m currently here” slider. Congratulations! You’ve added your cafe as a location on Facebook. That way, anyone Instagramming in your cafe can tell the world where they got that delicious sandwich or that perfectly frothy flat white. This way, every photo with your tag becomes an advert for your coffee shop. All right, that heading is a bit of an exaggeration. But it’s not too far off. One of the great things about using Instagram as a marketing tool is the way that it acts like word of mouth on steroids, amplifying your content and your product. This kind of marketing is ideal because customers are 90% more likely to buy from brands recommended by friends. We’ve talked a lot in this guide about how Instagram helps you to build a dialogue with your customers. Now we’re going to tell you how to make the most out of that dialogue through user-generated content. If you’re encouraging customers to post using a specific hashtags or a geo-tag, then finding user-generated content is a snip. Sharing user-generated content on Instagram is trickier, though. There’s no direct way to share other users’ posts, like Twitter’s Retweet button, although there are rumours that the company is planning to do this sooner or later. This is where apps like Repost, for iOS, and Regram, for Android devices, come in handy. They take user-generated content and re-post it to your own Instagram feed, along with a credit to the original photographer. Alternatively, you can save images manually by taking a screenshot of the photo and uploading that. Social media software company Hootsuite has a handy guide on how to do this. If you’re a subscriber, you can also use Hootsuite to repost Instagrams,. If you choose to repost user-generated content, no matter how you do it, make sure you credit the original photographer, and that you have their permission to repost it. The Instagram feed of Darjeeling Express, an Indian restaurant on London’s Carnaby Street, provides a good example of a feed that is more carefully-selected customer images than the restaurant’s own pictures. Rather than flooding the net with their own photos, they prefer to let its customers do the talking, and post pictures of new menu items and snaps of the restaurant’s team in action, as well as a few choice insights into the life of Asma Khan, the restaurant’s founder. And Shakespeare’s Globe has been user-generated content, asking visitors to upload pictures with the hashtag #viewfromtheglobe, and sharing it using Instagram Stories. Instagram scheduling app Later has a useful blog post on how to use user-generated content in your own Instagram feed, with examples of successful campaigns. You don’t have to sit and wait around for customers to snap photos. It’s one thing to trawl Instagram for user-generated content, but getting people posting is another one entirely. One way to do this is through Instagram contests. Why do my customers want to enter? The answer to this first question determines what format your contest takes, but the second is just as important. You might think about offering winners a voucher for your cafe, restaurant or bar. Alternatively if you run events in your cafe such as coffee tastings or masterclasses, you could offer a free ticket. The aims of your contest will shape how you run it. If you want to simply drive engagement with your photos, then a like-to-win contest is ideal. As the name suggests, contestants enter by ‘liking’ an image and following you, and the winner gets drawn out of a hat. These are simple to set up. All you need to do is make an image with the competition details on. These are good for getting more people to follow your Instagram, meaning that more people will see your posts. But just because you get followers doesn’t mean that you get engaged followers. This kind of contest can get your Instagram seen by far more people, but that doesn’t mean that they necessarily ‘convert,’ or come in for a coffee. For that, you need to run an in-store photo contest. These take slightly more effort to set up. You need to create a hashtag unique to your contest and ask customers to share photos taken in your cafe with that hashtag. Then you either draw winners out a hat, or the best photo wins. Contests like this get customers engaged not just with your Instagram feed, but with your cafe. And, as a bonus, all of a contestant’s followers see their photo of your cafe. Other Instagram contests might include photos with your products or merchandise included, which are good if you sell branded goods like tote bags or keep cups. Web marketing software makers Wishpond have curated a list of ideas for Instagram contests, along with small businesses that have done them well -- as well as how they could improve, and Social Media Examiner have written an article on the steps you need to take to run an Instagram contest. You’ve probably heard of influencers being spoken of in hushed tones -- a mysterious tribe of people who live charmed lives, Instagramming their way from destination bar to luxury hotel to deserted beach and back. Influencer marketing is one of the fastest-growing kinds of marketing out there. Instagram influencer marketing is a $1 billion industry, and it’s thought that by 2019, that figure will have doubled. Celebrities can score deals with big-name brands for serious money -- Beyonce charges $1 million for a single Instagram post. But this is an extreme example: you don’t need to spend serious money to work with influencers. 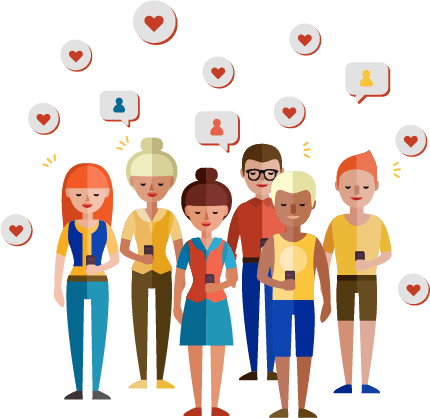 In fact, working with smaller influencers with fewer followers might be a more effective way of marketing as on the whole, the more followers someone has, the less engaged that audience is. It makes sense -- while you might be interested in where your friend got that delicious-looking sandwich, you’re probably less bothered about someone you’ve never actually met in a city on the other side of the world. Micro-influencers tend to have around 1,000 followers and tend to work very locally. And this type of marketing works: 82% of customers say they are highly likely to follow recommendations made by influencers. 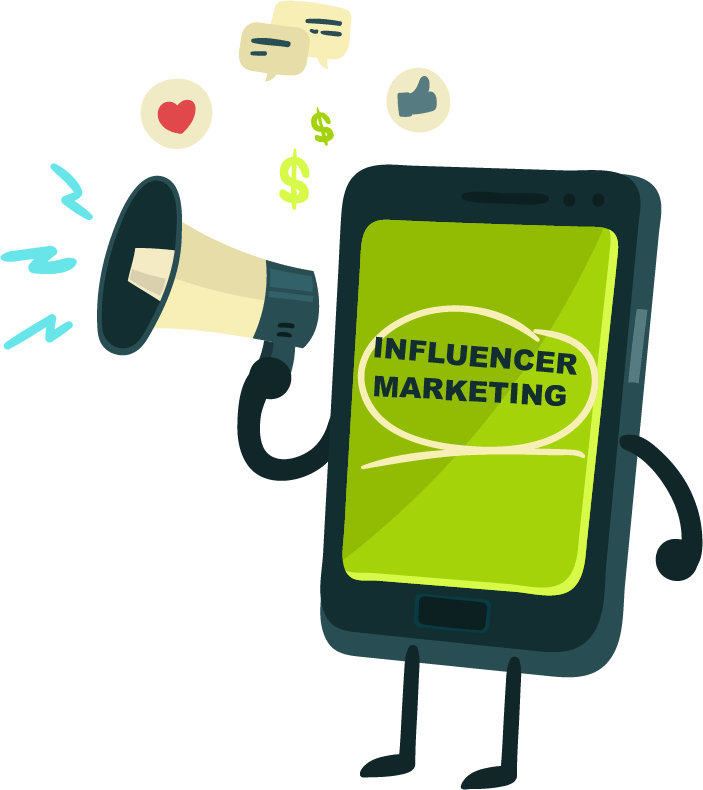 A survey published in Marie Claire showed that influencers with around 1,000 followers charge, on average, £50 per post, but this figure rapidly rises. If you want someone with over 5,000 followers/fans repping your cafe, you’re looking at £75, and £300 will buy you an influencer with 20,000 followers. If you have a limited budget for marketing, and you know you want to target potential customers locally, then a smaller influencer might be ideal -- some might even work for freebies. Getting micro-influencers on board can be especially valuable if your cafe runs events regularly, as an influencer’s post can showcase their experiences and drive their fans in your direction. Or, perhaps they can participate in the event and drive traffic that way. You need to consider how the influencers you work with present themselves, and how this fits with your cafe’s image. For instance, Clerkenwell Boy is a London-based food Instagrammer with nearly 170,000 followers. He pretty much invented the ‘flat lay’ style of photography, and his word can set a restaurant’s phones, and their tills, ringing. But his writing style is pretty different to most. It’s very slangy, full of emojis and *SHOUTY* typography. If you’re based in a city centre and attract customers looking for somewhere quiet for a meeting, working with someone who presents themselves like this may not be the best choice. You need to know where the influencer is based and where their audience is. There’s not much point using a micro-influencer if you’re in Leeds and all the influencer’s followers are in Glasgow. You also need to know what you want out of your influencer-led marketing, and how much you have to spend on them. There are several ways of finding micro-influencers on Instagram. If you’ve been open for a while, and have an active Instagram feed, chances are you’re already being followed by a few influencer accounts. Trawling through Instagram followers may be time-consuming, but using influencers who already follow you is a good move. It means that they already engage with you, and may even be a customer. It means that your relationship is more organic. Or, you can make life a bit easier by using an influencer marketing service: influence.co runs a listing service for influencers. It has a handy search function that allows you to filter by the types of businesses that influencers work with. These range from cafes to restaurants to travel sites, to sportswear brands. It also details the location and by number of followers. So, if you wanted to find a London-based influencer with under 5,000 followers, and an interest in cafes and coffee shops, this would be the place to look. Failing that, Google is always your friend. Many influencers and bloggers have formed groups to provide each other with support, leads, and a place to talk to like-minded people. These can be topic-based, or geographical. A simple search with the location name can turn up some useful leads. Once you’ve identified influencers you want to work with, reach out to them, either using any contact details they provide or on Instagram’s direct messaging service. Before you contact any influencer, though, it’s best to work out what you want from them and what they can get from you. Or are you looking for someone for whom this is more a hobby to take a few nice snaps? It’s important that you are clear on this before you contact anyone. This will determine who you engage, and how you work with them. Instagram doesn’t just provide you with a way of reaching customers: because it’s such a visual format, it’s also a great medium for telling stories. In the five years since the network launched, Instagram has cemented its reputation as the premier way to tell stories visually. For marketers the format is a gold-mine because it allows them to sell brands, not products. Rather than just being another way of selling food and drinks, Instagram allows you to sell a lifestyle where your business is front and centre. It allows you to bring your product to life and build a narrative around it. Chances are you’re pretty proud of your business. Making it this far hasn’t been easy. You’ve put in the hours and the money, and everything that you do has a story behind it. That’s not just a shot of espresso you’re pulling. Those beans come from somewhere. They’re grown, they’re harvested, they’re roasted. And the person working the espresso machine, they have a story to tell too. Instagram lets you tell these stories. It lets your followers go behind-the-scenes and see a side to your cafe that they might miss when dashing in for a quick caffeine boost on their way to work. Beyond simple single-image posts, Instagram has a load of features, some older and some newer, that allow you to do this. This section of the guide discusses what these features are, and how to make the most of them. As well as uploading a single-image post, Instagram lets you upload up to ten images or videos in a single post as a gallery. These are a great way to tie together images with similar content, whether it’s advertising a new range of products, showing off a unique location, or marketing an event. For instance, Cafe Plenty has used a two-image gallery to promote their new alternatives to dairy milk. As galleries go, this is as simple as can be -- it’s just two images, each promoting a single product, but because they’ve put thought into how to present them it works really well. It works because the two images speak the same language -- they have the same backdrop, and they have identical compositions. Meanwhile, Sofar Sounds, who put on intimate acoustic gigs in surprise locations around the world, have used Galleries to showcase acts playing at their gigs. Unlike Cafe Plenty’s gallery, this one has a lot of images, and they’re all pretty different on the face of it. Their gallery has ten images, as many as Instagram allows you to upload in a single post, and each of them features a different act in a different place. But they all focus on the human aspect of Sofar Sound gigs, highlighting the intimacy of the relationship between act and audience. Since launching in August 2016, Instagram’s Stories format has become a firm fixture on the social media marketing landscape. A third of the platform’s most viewed Stories are from businesses now. A Story is effectively a ten-second snippet of video or a picture that displays for ten seconds. This content automatically deletes after 24 hours. They are displayed in a different feed to normal Instagram pictures: up at the top of the mobile app, or in a sidebar on the Instagram website, and act like an “in the moment” social media channel. Adding a photo or video to your Story is simple. Simply take a picture or video on Instagram’s camera -- which can be accessed by swiping left from the main feed on the mobile app. Once you’ve taken a picture or a video clip, you can press on the buttons that appear at the top of the screen to add text notes, filters, or drawn annotations to your image or video. You can also add links, hashtags, and geotags to your Stories. After this, click the plus sign to add your photo or video to your Story. Stories are a powerful way to connect with your followers, by creating more personal experiences. They are also interactive: followers can respond to stories, and there is also an option to put polls in your them. You don’t need to solely post photo or video content either: Instagram allows you to upload images and video saved on your phone already, so you can also upload graphics you’ve already made. For instance, you can use a service like Canva to make a title page for a story. Just make sure that it’s the right size -- while Instagram photos can be any size, anything you upload to Stories needs to be 1080 pixels wide and 1920 pixels tall. Content marketing site Instapage has put together a list of reasons to use Instagram Stories and brands that use the platform well. They’ve curated a pretty diverse list of brands who use Stories, but there are plenty of take-aways you can use to promote your coffee shop. You might, for instance, take advantage of the way Instagram Stories deletes posts after 24 hours to offer special offers for one day only: customers who want to take advantage have to come in and show you the Story. This works by making followers feel that they have something exclusive, as well as creating a sense of urgency -- the offer will vanish after 24 hours, after all. The time-limited nature of Instagram Stories is what gives them power. With their ad-hoc, intimate feel, Stories also let you give your followers glimpses behind the scenes in a way that normal Instagram photos do not. They let you chronicle aspects of your cafe’s operations that don’t normally get seen -- for instance, if your cafe prides itself on its coffee then you might think about taking your guests on a video tour of its roastery. And Stories gives you a new way to showcase your products. Chef Calum Franklin is a self-confessed “pastry deviant.” He makes pies, but not just any pies: they’re virtuoso masterworks of pastry design and classical charcuterie. Franklin uses his Instagram account to show his 35,000 followers behind the scenes in the top London hotel where he is head chef. While his normal Instagram feed is full of golden, crisp pastry, his Stories more often look behind the scenes as he develops his recipes -- no matter if his attempts are triumphant or end in disaster. In fact, showing the attempts that didn’t make the cut is part of the appeal of Instagram Stories -- his viewers are along for the ride. No matter what your business is, or what your product is, you can use Instagram Stories to connect with your customers. You might want to consider using Stories during staff training days or to introduce new staff members. Or, you could use Stories to offer lessons -- such as how to pull a shot of espresso, or how to make pour-over coffee. As well as Stories, Instagram offers you the ability to live-stream video to your followers. Live video is an even more immediate format than Stories, and even more interactive. Followers can watch live and react in real-time, posting comments and feedback as your video streams. This means that you can use Instagram Live to run Q&A sessions and discussions. The Theatre Cafe in London’s West End uses Facebook Live, a similar livestreaming tool, to run live Q&A sessions and interviews with West End actors. It’s also a great way of getting your followers’ attention. Live video has priority in the Instagram Stories feed at the top of the app’s display and your followers will get a push notification when you go Live. You can also add Live video content to your Story feed, meaning that your followers will still be able to see it up to 24 hours later. They won’t be able to comment in real-time, but it means that you can continue engaging with your followers long after you’ve stopped filming. Instagram Live is perfect for events. It allows followers who can’t be there in person to still feel like they’re part of the action. Instagram marketing agency Dash Hudson has written an in-depth guide to using Instagram Live. Their advice, in a nutshell, is that before you go live you need to plan, plan, plan. Despite the spontaneous nature of live-streaming video, unless you have a plan things can get awkward fast, Dash and Hudson say. If you’re livestreaming a gig this might be as simple as finding somewhere with good visibility and acoustics to put your phone, and setting up a tripod somewhere stable. You might want to consider writing some notes to speak from, or a fuller script. You’ll also need to bear in mind where you choose to conduct the stream -- if there’s a glare, or a busy backdrop that won’t film well. And if you’re moving the camera about, you’ll need to find a willing human camera stand, and work out what you’re doing and where they will need to go, and when. You may also need to advertise your Stream -- because it’s going out live you can’t count on people logging on and seeing it in the same way that they might a Story or a photo. You also need to make sure that you’re connected to a reliable Wi-Fi network. The last thing you want is for your connection to drop mid-way through. Since you are streaming on Instagram, it makes sense that it’d be the first place to start advertising. Post a photo or video with the details of your Live event a few days in advance and add periodic reminders to your Story. It can also be helpful to send out a reminder to subscribers on your email list, and to get Tweeting, post updates to Facebook, and promote the event on other social media outlets -- you’re likely to catch people who follow you on other networks but not on Instagram this way. If you have an Instagram business account, you can access a dashboard with powerful insights on your posts and your followers. This is called Instagram Insights. You can use these to help you plan future content campaigns and measure how far you have progressed towards your goals. The first page of Instagram Insights tells you how your posts are doing. By default, it ranks them by number of impressions. You can see a list of your top posts, and choose to sort them by other metrics, including reach (the number of unique users who saw your post), engagement-- (the total number of interactions, including likes and comments your post had), number of likes, and number of comments, as well as sorting by content type. You can also change the date range, so you can see your best-performing picture over a week, a month, or a year. You can also drill down into a single post, and view reach, engagement, and impressions for that photo or video. Instagram Insights also offers you analytics on your followers. By default, it displays when your followers are active. This means that you can plan when you post for maximum visibility. Insights also breaks down your followers by gender, by age range, and by location. As well as this, Instagram collects analytics on Stories. The number of people who exited Stories entirely while watching your Story. Instagram Insights is not as powerful as Twitter’s analytics suite, or Facebook’s. 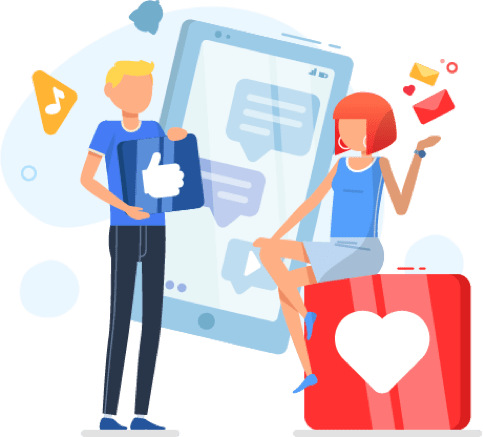 But users desperate for more data can use third-party analytics suites that collect rich data on their Instagram feed, and help manage their social marketing campaigns. For instance, Iconosquare helps you to find relevant Instagrammers and influencers using a powerful search function, as well as letting you look back further into your account’s history, meaning that you can see how historic posts and Stories did and compare them with newer ones. It also tracks hashtags by location and by influence. And it also monitors the competition, letting you access insights on their audience and their reach. Meanwhile, Hootsuite also tracks analytics and allows you to create custom reports which are attractive, easy-to-read, and can be measured against goals. Crowdfire is a little different. While it doesn’t have a particularly great analytics suite, that’s not its selling point. Rather, it bills itself as “your marketing sidekick.” It uses AI and machine learning to analyse your social media accounts and tell you what you should be posting, and when, in order to achieve your goals.